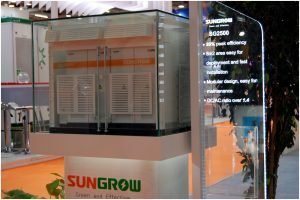 Bangalore, India- Sungrow, the world‘s largest PV inverter manufacturer releases new inverters at the Renewable Energy India Expo (REI Expo) for the emerging solar market in India. The company showcased its highly efficient, newly designed central inverter – SG2500 (2.5MW container solution) and two string inverters, the 1100V-SG60KTL (60KW) and the SG80KTL (80KW with big DC clamp) at their booth #3 137. Sungrow’s central inverter SG2500 is best characterized by its cost effectiveness and highly reliable containerized design. 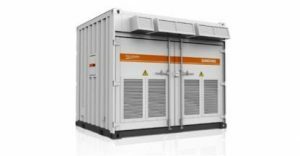 The inverter’s 10-foot standardized shipping container design, enables the SG2500 to be easily deployed, saving installation time and cost. With the three-level topology design, maximum efficiency can reach up to 99%, being the highest in class. 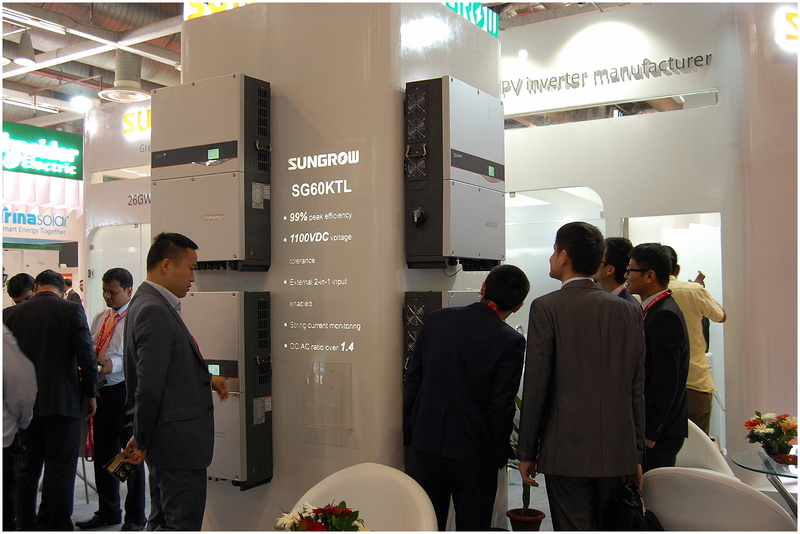 Sungrow also showcased their SG60KTL inverter (1100V). This 60KW string inverter is capable of overloading at 1.1Pn for a longer time with its maximum DC input arriving at 1100V. Maximum DC/AC ratio reaches up to 1.4, which is again the best in class. The product is designed for high power yields with its maximum efficiency reaching up to 99%. Notably, the string inverter SG80KTL (with big DC clamp) integrates functions including string monitoring and DC fuses as well as DC/AC surge protection within its intelligent design. SG80KTL is also designed for higher power yield with its maximum efficiency of up to 99%. 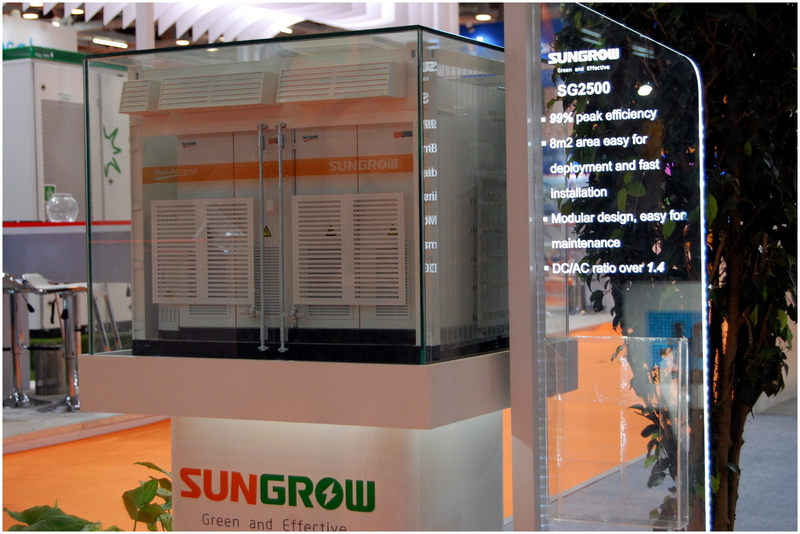 “Sungrow always focuses on technical innovation with an intention to offer better products and services to customers. We believe that these three new products can meet the demands of solar industry in India and exceed customer expectations.” said Professor Renxian Cao, President of Sungrow.